Turn the Dry Vacuum System power off at the end of the day. This will drain collected liquids in the separation tank. Flush the main vacuum lines with a non-foaming dental vacuum cleanser weekly. 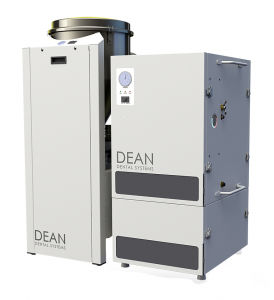 Dean Dental Systems offers mechanical room equipment to serve offices of all sizes. The Oil Free Silent Compressor and the Dry Vacuum System have small footprints and can be expanded through add-ons if increased capacity is needed in the future. Variable user technology in both units senses number of users and adjusts power output accordingly. Used together, this equipment conserves resources by reducing water and power consumption. Both the Compressor and Vacuum carry a five-year warranty. The Oil Free Silent Compressor requires no lubrication and offers three stages of filtration. The first stage of filtration removes particles larger than 5 µm, the second stage removes particles 0.01 µm and larger, and the third removes remaining dust and contaminates. The on-board, desiccant-based twin tower air dryer ensures air does not contain odors or bacteria typically associated with wet systems. Multiple units can be stacked for large installations. Maintenance is limited to an annual filter change, with the dryer only being serviced once every five years. The Dry Vacuum System is a water- and oil-free system utilizing variable speed technology and an energy-efficient dry vacuum pump to decrease power consumption over wet systems. The direct driven vacuum motor has only one moving part and is designed to last up to 20,000 operating hours (10 years) without maintenance. An annual filter change can be easily done by office staff. Guardian Remote Monitoring through an internet connection allows technicians to review user data remotely. The Smart Shield Touch Screen control panel can be placed anywhere in the office to provide control for the compressor, vacuum and water.The touch screen gives a visual and audible alert to the user for annual maintenance and for operation out of normal parameters. 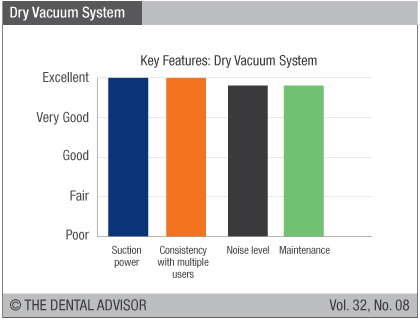 The Oil Free Silent Compressor, Model SC5, and the Dry Vacuum System, Model DV5, were used daily in three dental offices during a three-month evaluation period. 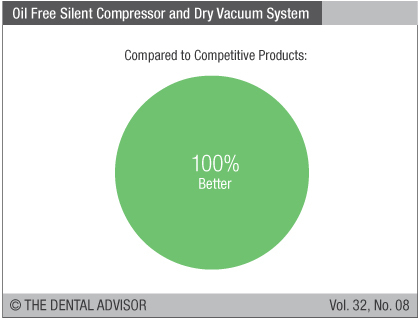 This compressor and dry vacuum system received a 98% clinical rating. Oil Free Silent Compressor and Dry Vacuum System are virtually maintenance free. Both units run so quietly that users barely noticed when they were running. Offices that had been running a wet vac were surprised and pleased that there were no suction traps to clean and the unit virtually took care of itself. The equipment installed provided ample suction and compressed air in offices with seven operatories. 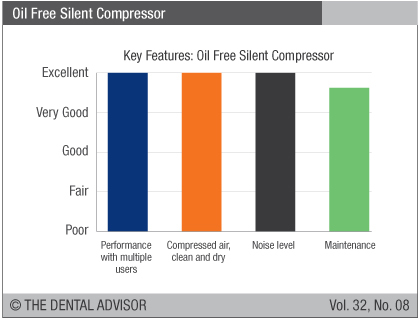 Oil Free Silent Compressor supplies dry air and is unique in that its operation is defined by actual air demand. The compressor is encased in a housing that contributes to its quiet, cool operation. 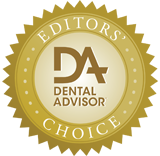 The energy efficiency of on-demand systems and water conservation of the Dry Vacuum System are consistent with dentistry’s trend toward environmentally friendly choices. While no users received any maintenance alerts during the evaluation period, they had the reassurance that continuous monitoring was occurring. 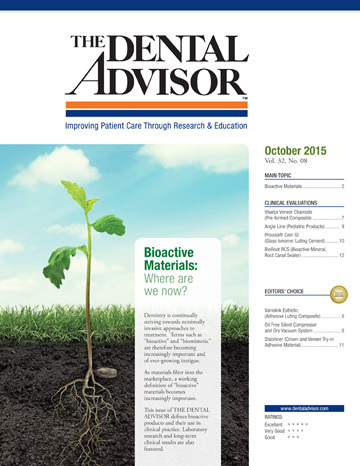 The potential to identify issues that could prevent equipment malfunction or downtime is a real advantage to busy dental practices.